This space has been awfully quiet. My listening habits have also taken a slight backseat but nonetheless, heavy music über alles! As it has been in the past four years, I’ve managed to conjure up a list of my favorite (aka most played) albums that were released this year. The criteria for choosing these albums has always been replay value and how memorable the music is. I must confess though, my consumption of new music is now a fraction of what it used to be - primarily due to the fact that I barely visit the blogs, forums, discord channels et al. So if I do not mention a popular album, it’s because I probably missed it. Spoiler alert - there’s a lot of black metal. Without further ado, here are the ten. Norway is increasingly garnering attention for the flock of bands who play old school heavy and thrash metal. Bands like Nekromantheon, Deathhammer and Condor have cemented Norwegian thrash metal on the world map. Black Viper’s debut Hellions of Fire is a noteworthy addition to that list. Their musical style is very reminiscent of 80s speed metal with a production to match. Prepare to have your head bobbing continuously as you meander through the more traditional heavy metal passages in Quest For Power to the blistering guitar solos in Suspiria. The album isn’t a gimmicky nostalgia driven effort, it’s legit and honest for what it is. Much like their peers, Black Viper wear their influences on their sleeves. Hellions of Fire pays tribute to the bygone era of traditional heavy/speed metal of the 1980s and is a must-listen for any fan of this sub-genre. 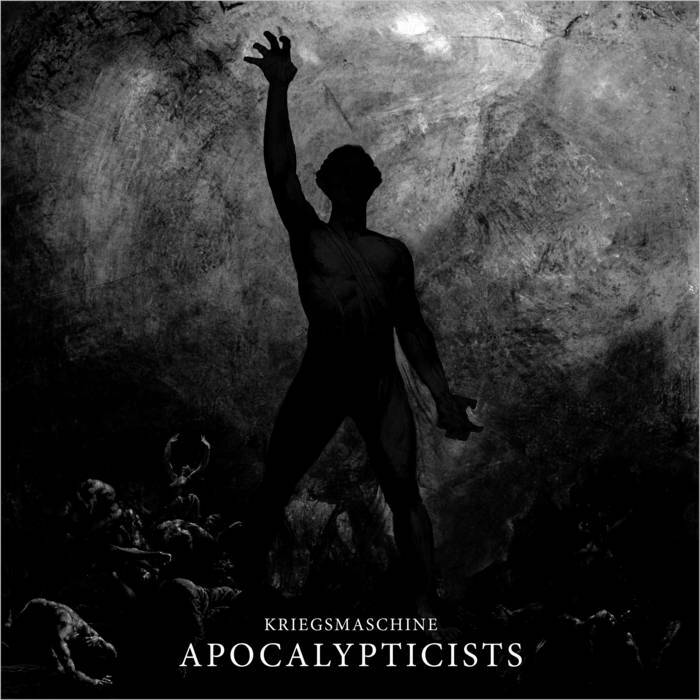 Kriegsmaschine is the lesser known project of the two key members of Mgła, who are arguably a very established black metal band in the underground circuit. It is, thus, inevitable to compare the two. The moment you tune into Apocalypticists, you’ll instantly notice how prominent and hard-hitting the drums are. This is a feature throughout the album where an atmosphere created by atonal riffs is pierced by pulsating (utterly progressive sounding) drum sounds. It’s as if Darkside (drummer of Mgła & Kriegsmaschine) unleashes his pent up fury on record. I also feel that Kriegsmaschine’s take on black metal is that of a less traditional path by relying less on blast-beats and tremolo riffing. The music is definitely hypnotic. While we wait for Mgła’s next magnum opus, Kriegsmaschine’s Apocalypticists will satiate your palate quite well. Deceased are the grand-daddies of death/thrash/heavy metal who have a particular penchant for all things horror. It’s in their lyrical themes and of course, in their artwork. Deceased have been around for 35 years and are still going strong in the underground. Ghostly White proves just that and with this album, you will hear more of the same Deceased sound. The album’s got dollops of traditional heavy metal passages with twin guitar solos, King Fowley’s signature howls and a truckload of galloping goodness. Up the tombstones! Unsettling Whispers is Gaerea’s debut album. Hailing from Portugal, Gaerea play a style of black metal which bands like Mgła and Uada are known for. Considering this is only their debut, Gaerea have managed to present listeners with some stellar atmospheric and melodic black metal. What sets this band apart though is that they don’t seem to be afraid to go with a cleaner and more polished sound. It’s not overproduced in any way but it does have this ‘modern’ sound, which many in this sub-genre shy away from. The musical spectrum ranges from dreary melancholic soundscapes to tremolo riffing over blast-beats. Personally, I’ve had this album on rotation for quite a long time since its release and it’s very enjoyable to say the least. Shatraug, the musical genius behind Sargeist (and Horna among many), has recruited new members into Sargeist and they present a new face of the band with their latest release Unbound. Let it be known that I’m a sucker for Finnish black metal - it’s the melodies that get me good! Unbound is no different in that regard. But what makes this album more memorable are the vocal patterns employed by new vocalist, Profundis. They range from seething angry rasps to almost Alan Averill (legendary vocalist of Primordial) like shouts. That said, Sargeist seem to have also grown in their sound. For lack of a better word, it’s more dynamic. Yes, we still hear all the Sargeist elements - the melodic riffing, the underlying rock n’ roll sensibilities and the overarching evil atmosphere. But, it somehow feels more expansive, you know. It’s beautiful and it’s worth a listen. Beyond Celestial Echoes is the band’s sophomore album. Back in 2015, Sacral Rage caused massive waves with their debut and unsurprisingly they also featured on my AOTY list. I touted them as the Helstar of this generation. Suffice to say, expectations were quite high when I learnt of this release. The band returns with their own brand of technical/proggy power and thrash metal. Beyond Celestial Echoes takes you further into dizzying technical musicianship. It paces itself quite well with welcome breaks consisting of interludes and grand buildups. Take for example, the epic 13 minute track called ‘The Glass’ which feels like a journey into space. It does takes a few listens for the album to soak in. While it’s definitely denser than their debut ‘Illusions In Infinite Void’, this album does establish Sacral Rage as a technical power/thrash metal juggernaut. Personally, I really hope to catch this band live one day! From the get-go, Visigoth waste no time in diving straight into what Conqueror’s Oath is all about. From the album opener ‘Steel and Silver’ to the more epic ‘Traitor’s Gate’, Visigoth deliver a slab of 80s traditional heavy metal which will make Mark Shelton smile wherever he is (RIP you legend you!). It’s straightforward heavy metal without any fillers. You get what you expect to listen when you pick up this album - it has epic singalong choruses, loads of riffs and a few softer ballad-like interludes thrown in. Before you know it, you’ll have your fist held high chanting in unison with the tunes. If you like bands like Manilla Road, Omen, Grand Magus and their kind, you’ll surely dig Visigoth. Tomb Mold’s debut album slipped under my radar in 2017 and when I heard about their second album being released this year, I jumped on it promptly. 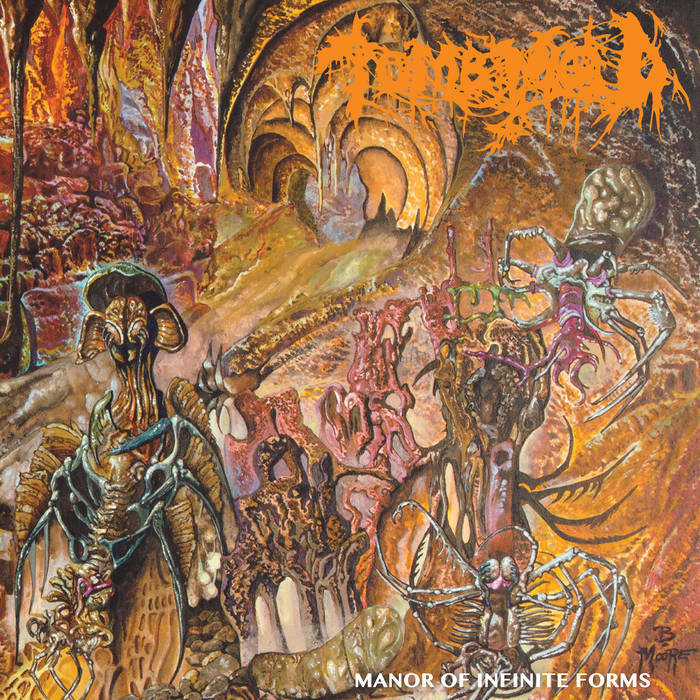 Manor of Infinite Forms makes you wonder how prolific a death metal band truly is after putting out releases in two consecutive years without compromising on quality. Tomb Mold’s sound harkens back to the late 80s early 90s era of death metal. It’s murky, disgusting and envelopes you with shroud of a suffocatingly dense atmosphere. You’ll give in to making a stink face while nodding violently to the barrage of riffs the band throws at you. The caveman vocals are supremely guttural and fit this style perfectly. Above all what I love most about this record is that it’s very well produced - just the right amount of rawness to bring out the best in Tomb Mold. I won’t pretend that I’ve been a big Craft fan for many years. I only started listening to these legendary Swedish black metallers in 2017. In that regard, I approached White Noise and Black Metal with an open mind, unsure of what to expect since the band hadn’t put out something in a while. By the time, I got to the second track ‘Again’, I was sure as hell that I was listening to the riff of the decade. 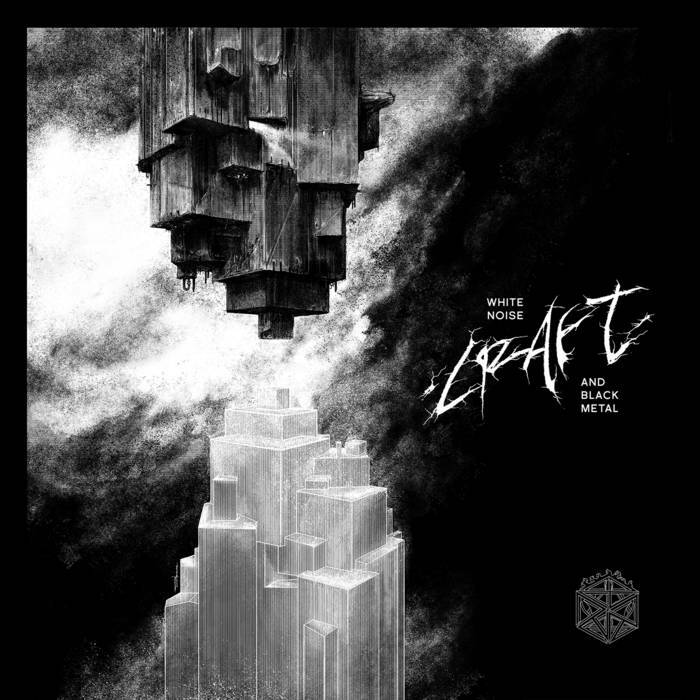 Through the imagery and lyrical themes, you can easily tell that Craft are proud misanthropes and nihilists. This is, of course, reflected in the music they put out. But what’s the point if this hateful music lacks the catchiness that would make you want to listen to it again and again? The album draws you in with plenty of grooves that is often lacking in black metal these days. To sum up, I’d say this is one of the best black metal albums in the past decade - it’s something any avid fan of the genre would look for. To me, Chapel of Disease were among the many death metal bands who were influenced by the Swedeath sound - buzzsaw guitars et al. Nothing too memorable and not much to write home about. However, things have changed for this German death metal band after releasing ...And As We Have Seen The Storm, We Have Embraced The Eye last month. Yes, the title is quite a mouthful. But I honestly don’t know where to begin. The band has stripped away their generic Swedeath death metal sound and introduced more progressive, punky and melodic elements. It’s as if they suddenly became fans of early Kverletak. The entire album feels free-flowing, effortless and at the same time flirts with the boundaries of not getting too progressive or adventurous with their new found sound. The band does retain its heaviness. No doubt about that. The vocals are reminiscent of a less gurgly version of Martin Van Drunen (of Asphyx fame). The album is great to listen to in its entirety, this isn’t a “song’s album” if you catch my drift. The main reason why I rate this as my numero uno album of 2018 is because every time I listen to it, I hear something new, something fresh. I hope this is the start of something new for the band. Onwards and upwards!